Audience recording up on Dime. Update: Missed it or want to listen again? Click here. Vote for The Cure as Best Summer Festival Headliner in the BBC 6 Music poll. Update: The Cure finished 5th. 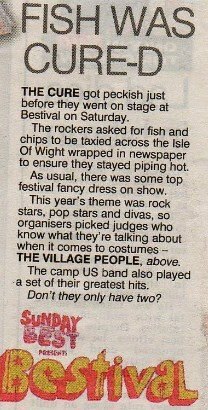 According to Rob da Bank, Robert's favorite act at Bestival was Kitty, Daisy & Lewis. "Play for Today and A Forest were also broadcast in HD in the highlights programme on Sky 1 (as opposed to Sky Arts)"
Did Q TV ever show any of The Cure at Bestival? The Sky Arts HD broadcast is now up on Dime. Update 2: And here's a Swedish interview from Kulturbloggen (English translation). And I'm sure Roger won't mind if I throw in a plug for our friend Matthew North and his band Secrets for September. They are playing Oct. 1st in London and you can get tickets here. No surprise, but Roger says it's not true: "How can they just make stuff like that up? And why would it have to be taxied there were about 100 F&C stands there! there wasn't even any food in our dressing room, I was starving! Well I was to nervous to eat!" 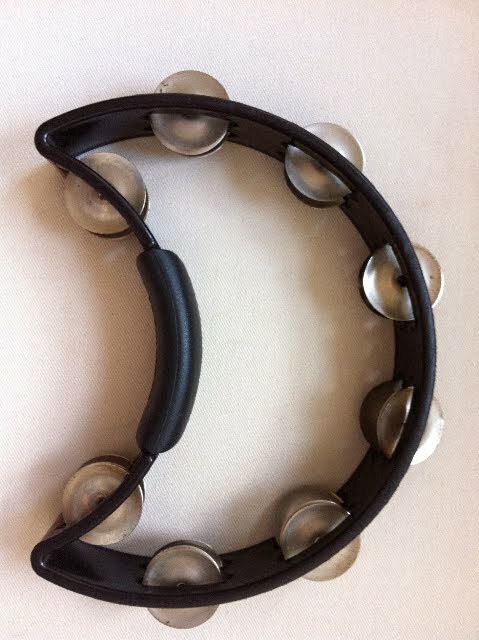 Update from Roger: "Actually it was one of Jason's tambourines and I don't think he knows about it yet hahah so don't tell him!"